Many of the benefits we receive from cars we take for granted. With that in mind, we thought we would draw your attention to one of the areas in your car you probably take for granted the most- the heater. The instrument that produces heat in your car is called a heater core. The heater core functions like a small radiator. Coolant is pumped into the heater core via your water pump. The coolant flowing through the heater core warms up as heat is drawn from the engine. A fan in front of the heater core blows air through the coils which heats up and travels into your car via air vents. This is why when you first start your car you do not get “instant heat”. The coolant needs time to heat up before it can warm you and the family up on a frosty morning. In fact, some vehicles have a delay on them so the fan does not kick on until the coolant in the heater core has reached the desired temperature. Without the delay you would get nothing but cold air blowing through your vents until the coolant is warmed by the heater core! Both heat and air conditioning units are tied together with a door in the middle that actuates to regulate hot and cool air. 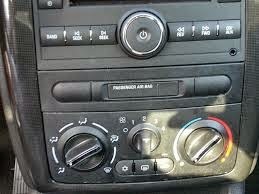 When you move the temperature dial in your car the door moves to increase or decrease the ratio of hot to cold air. Thus, allowing you to control the temperature at which the air comes into your vehicle, much the same way your shower/tub works at home. NOTE: A malfunction of this actuator can make it seem like your heater is not working. Some people have even gone and replaced their entire heater core only to find out it was the actuating door that was the problem! If you have more questions or have an issue with your heater that needs attention look no further than the Olympia Automall. We have over 12 dealerships representing 21 different vendors with service departments to tend to your needs! You've done your homework, now make the call! When you are looking for new or used cars in Puyallup, WA come to the Olympia Auto Mall.